Cheap Plane Tickets To Paris. Compare Airlines & Travel Sites To Find The Cheapest Flights To Paris. 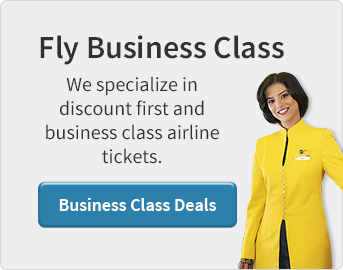 Book Cheap Flights To Paris With Jetsetz Today! Save big on flights to Paris with our cheap plane tickets. Take advantage of our last minute flight deals to Paris and save a bundle. Utilize our wholesale rates and save 100’s on your Paris airline tickets. Search our extensive database to find the largest selection of flights to Paris. Book cheap flights to Paris, Charles De Gaulle (CDG) and Orly (ORY) airports with Jetsetz. Jetsetz is an airline consolidator that specializes in cheap flights to Paris. As a consolidator, Jetsetz compares top airlines & travel websites to find the cheapest flights to Paris. Some of the top airlines that fly to Paris are: Air France, American Airlines, British Airways, United Airlines, Delta Air Lines, Air Canada, Virgin Atlantic and Lufthansa to name a few. Each of these airlines offer cheap non stop flights to Paris as well as connecting flights to Paris through various airports located in the United States, Canada the United Kingdom and Europe. Jetsetz also works with international airlines that offer cheap one-way flights to Paris. There are 2 international airports that serve Paris, France. There is the Paris, Charles de Gaullle International Airport and the Paris Orly International Airport. The best way to find cheap flights to Paris is to book your flights to the Paris Charles De Gaulle International Airport (CDG). The Charles De Gaulle airport is the largest airport in Paris and one of the largest airports in the world, with hundreds of flights arriving daily from around the world. The large amount of airlines that fly to the Paris Charles De Gaulle International Airport makes it the best airport to search for cheap flights to Paris. If you are searching for cheap flights to the Charles De Gaulle International Airport, please enter the airport code CDG into the arrival city search box. For more information on the Charles De Gaulle International Airport, please visit the Paris Airport Information section below. Another option for cheap flights to Paris is to fly into the Paris Orly International Airport (ORY). Although the Paris Orly Airport is smaller than the Charles De Gaulle Airport, it still offers many discount flights options to Paris. The only draw back with flying into the Paris Orly Airport is that you may need to connect to the Orly Airport through other airports in Europe or the United Kingdom. If you are searching for cheap flights to the Paris Orly Airport, please enter the airport code ORY into the arrival city search box. For more information on the Paris Orly International Airport, please visit the Paris Airport Information section below. Paris Orly Flight Tip - If you are considering flying to Paris with a connection in the United States, you might want to consider a flight to the Paris, Orly Airport, with a connection in London. Depending on the connection time, this flight can be a faster and cheaper way to fly to Paris. In addition, consider what section of Paris you are staying in, as the Paris, Orly airport may be closer to your destination. Spring time in Paris is not a myth. The best time to fly to Paris is between the months of April – June, as the weather is pleasant, and the tourist season has not begun yet. October - December is the low season and is the best time to find cheap flights to Paris. November is the cheapest month to fly to Paris. If you are planning to fly during these times, be sure to book your flight at least 60 days prior to your departure date to get the cheapest fare. Summer is the peak travel season, with the most expensive prices on flights to Paris. The central location of the 2 main Paris Airport’s makes for great opportunities to find cheap flights from Paris. There are numerous international airlines that offer cheap flights from the Paris Charles De Gaulle Airport as well as the Paris, Orly Airport. If you plan to fly within France, you will need to catch a domestic flight from one of these 2 Paris International Airports. Most domestic flights throughout France are handled by Air France. To catch your domestic flight from one of these Paris International Airports, you will need to move from the International terminal to the Domestic terminal. Depending on where you are located in the terminal, you also may need to check your bag through customs and security, so be sure to give yourself at least 2 hours to connect to your domestic flight within the airport. If you are arriving to Paris through the Charles De Gaulle International Airport, you will be arriving north of Paris. From the Charles De Gaulle Airport, you can take the CDG Airport To Paris Train (RER Metro B train) to the Gare Du Nord station which is in the northern part of Paris. This is about a 45 minute train ride. For information on taking the RER train from Terminal 2 of the Charles De Gaulle Airport to the Gar Du Nord station, visit the previous link. From the Gare Du Nord Station you can connect to the Metro or the RER to destinations throughout Paris. For those of you traveling from the Paris, Orly Airport, there is not a direct train option. If you want to take the public transportation from the Paris Orly Airport into the city of Paris, you will have to take the Orly Airport Roissybus. The Orly Airport bus is a good option as it is a direct drive from the Airport to the Montparnasse Station, in central Paris. The Orly Airport Roissybus also has a direct route to the Paris Opera Station, which is another good option for transportation into central Paris. Taxis, sedan services and car rentals are also all available at the Orly airport for your convenience as well. Once you have reached the center of Paris, the Metro system is a great way to get to your final destination. The best Metro option is to take the RER as that is the more direct train which offers more room for your luggage. If you have taken the train to the Gar Du Nord station, you are centrally located. You can reach all of the 12 arrondisements within Paris within 20 minutes train ride from the Gare Du Nord station. As parking is difficult in Paris, it is suggested to use the public transportation to get around the city. If you do not wish to have a car in Paris, you can also take the public transportation into Paris and then rent a car at one of the many rental car locations throughout Paris when you are ready to travel throughout France. Jetsetz offers great rental car rates from the Paris Airport as well as throughout the city of Paris if you would like to save some money on the cost of your rental car. There are 20 unique districts, or Arrondissements that make up the city of Paris. Some of the top districts include the 1st district with make up the Ile de Cite and Ile St. Louis Islands and the famous Notre Dame cathedral. The 5th, which includes the famous Sorbonne University and the late night Latin Quarter. Of course no trip to Paris is complete without a visit to the 2nd district and the famous Louvre and Les Halles area of Paris. For those that love shopping, museums and a non-stop view of the Eiffel Tower, you want to travel to the 7th district. The world famous Eiffel Tower is Paris's most recognized symbol which is located in the cultural district along with Musee d'Orsay and Les Invalides. Finally those that want to experience the old neighborhoods of Paris, you should visit the Les Marais area and Bastille area of Paris which are located in the 3rd district of Paris. Do not forget to take a moment from sight seeing to relax at a cafe and enjoy the delicious food of Paris where many of the world's top restaurants are located. Learn how to find cheap flights and airline tickets online by exploring the different types of Online Travel Sites and the pro’s and con’s of using them. See more great tips from our blog.